Saving on your makeup kit is an absolute must if you're a makeup artist since makeup products tend to get expensive. One way to save money on your own makeup kit is by making your own eyeshadow primer (and we all know why primers are important, click here to take a look at why!). It's super simple and works great for every skin type! What is also wonderful is that you are using products that you might already have lying around. It's a great way to make a eyeshadow primer if you run out of it and can't make it to a cosmetic store. It's an amazing last minute trick that every makeup lover should know! 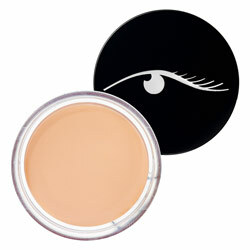 Begin by putting the foundation, concealer, and body butter in the container. Mix using the toothpick until the color is creamy and consistent. And there you have it! Your own eyeshadow primer! Great for that last minute rush when you run out!